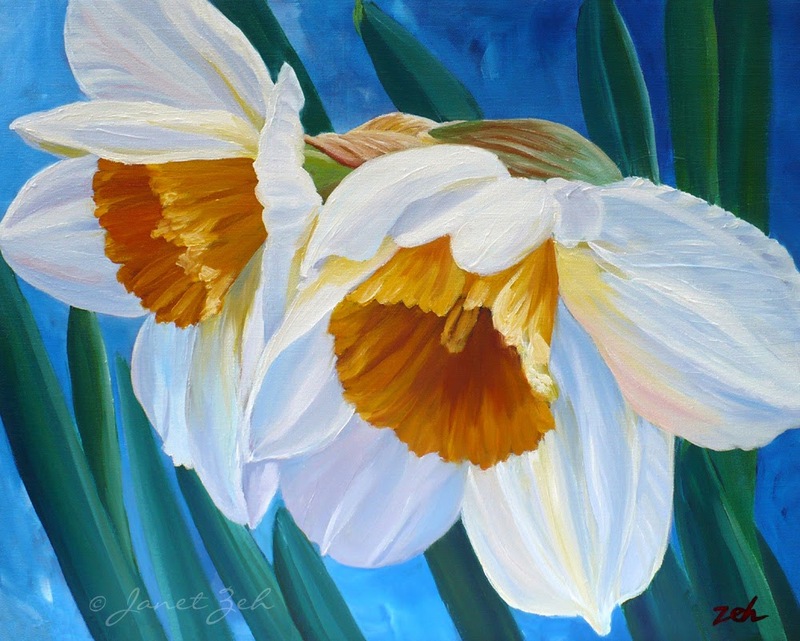 Two white and yellow narcissus flowers show off their Spring beauty in this print from my oil painting. I painted these from the flowers in my garden. Daffodils Print comes in several sizes and print options. Click the Order Print button below for sizes, options and prices.